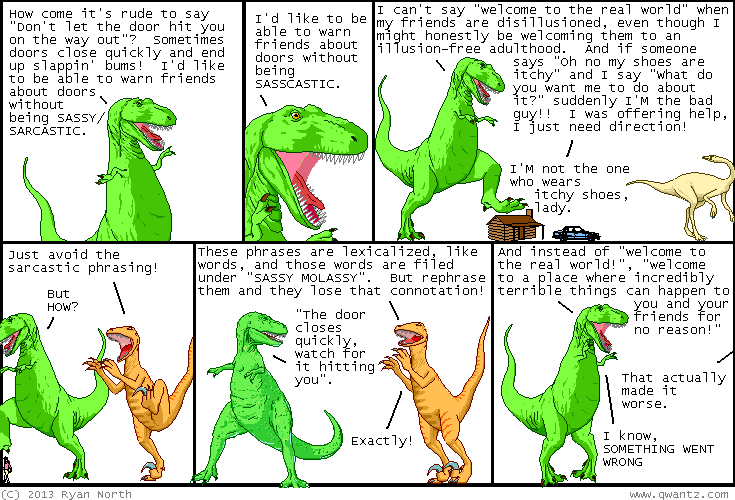 Dinosaur Comics - May 8th, 2013 - awesome fun times! May 8th, 2013: AW DANG DUDE IS THAT A DINOSAUR COMICS IOS APP?? One year ago today: hi! i'm a comic you can read with your eyes and brain! !